Do You Need to Hedge against Exchange Rate Fluctuations? Last week reader Mustachian Post sparked an interesting discussion on exchange rate fluctuations in the comments of an article on the different foreign withholding tax regimes in a number of European and North-American countries. Because exchange rates, together with foreign withholding taxes, form one of the bigger head-scratchers to international investors, I wanted to devote a post to the topic. Do we need to hedge against exchange rate fluctuations or not? If you’ve ever been abroad, you most likely already had to deal with the annoyance of foreign currencies and cash. Not only is it a hassle to get your hands on foreign banknotes, but everytime you want to buy something you have to whip out an imaginary calculator in the back of your head to determine how much you’re actually paying for something. Now imagine that while you are standing at the counter waiting for the store clerk to finish wrapping your purchase, the value between your home and the foreign currency constantly changes. You’ll never be able to correctly determine how much you are forking over for the product you’re buying! That’s exactly what exchange rate fluctuations are all about. Because most developed currencies are free-floating, it’s impossible to predict the value of an asset in a foreign currency at any given point in the future. For example, since I put my Euros to work in late August by purchasing McDonald’s (NYSE:MCD), which is denominated in United States Dollars on the NYSE, the Euro has lost about 10% of its value compared to the Dollar. That means my shares of McDonald’s are now worth 10% more in my home currency than when I bought them just four months ago without the underlying value of McDonald’s changing one bit. In this example that’s a good thing, but imagine if the reverse had happened? I would have lost 10% of equity value. It’s obvious that exchange rates influence the return of investments. Indeed, international investments carry the risk that any return on those investments changes unfavourably or favourably because of a different exchange rate at the time of purchase, and the moment a dividend is received or the investment is sold. The solution to the problem described above is to hedge or eliminate the foreign exchange risk. Many businesses that conduct operations across borders do so by buying a hedge from a financial institution. Currency hedges are a type of derivative aimed at either locking in an exchange rate today for a transaction that will occur in the future, or at exercising a previously agreed upon exchange rate at a future point in time. Without going into the nitty gritty of hedging methods and best practices, it’s clear that buying into a hedge is an elegant solution to the problem of changing exchange rates. A business won’t have to worry about the value of its products abroad as it agreed upon a pre-determined exchange rate between its home and the foreign currency with a bank. An investor can furthermore rest assured that the return on his investments is simply the return of his foreign portfolio minus the cost of the hedge, instead of the return of his foreign portfolio plus the foreign currency return. Do you need to hedge? As it turns out, an investor not using a hedge only has a one in three chance of a negative outcome due to currency fluctuations, whereas a cautious investor who hedges his positions loses two out of three times. There is a big but, however! When the first investor loses money, he potentially loses a lot of it. The second investor can only lose the cost of the hedge, but saves himself the trouble of potentially massive currency return loss. You can see that hedging carries with it a certain level of opportunity costs. Not only will you lose the cost of the derivative when you hedge, but you also potentially lose out on the added returns of foreign currency appreciation. That’s why hedging or not becomes a question of predicting currency movements, especially over longer periods of time. Everyone saw the pullback of the Euro coming in August following the lower ECB rate announcement, but nobody can predict the Euro’s movement three years from now with certainty. Is the risk and consequent cost of making a loss on an investment due to fluctuating exchange rates in the long-run bigger than the cost of hedging against that possible fluctuation. The answer to that question isn’t immediately obvious because we can’t know what the future holds. 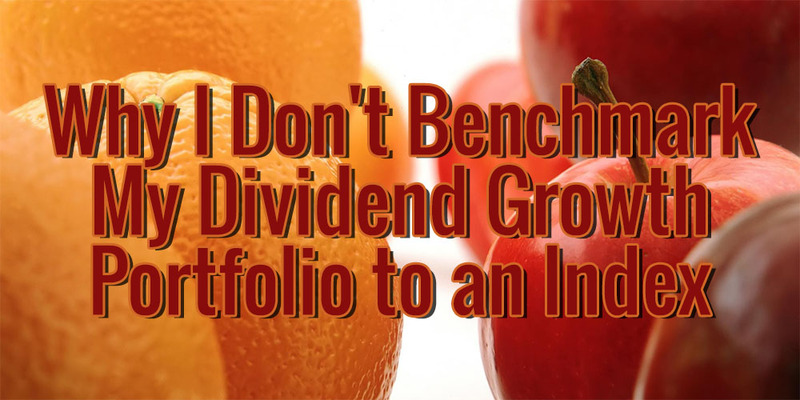 What about other dividend growth investors? Because I’m mostly interested in dividend growth investing, I’ve chosen to take a quick peek at some other bloggers following the same strategy to see if any of them hedge their foreign positions. Of course, I might as well have looked at people trying their hand at passive index funds because the same principles apply to any type of investment where multiple currencies are concerned. You’ll be surprised to find that I’ve found nobody, both in Europe as well as overseas, who hedges against currency fluctuations or openly states doing so. Dutch investors Pollie and Dutch Dividend buy their foreign shares outright with their monthly net worth updates showing that changing exchange rates do indeed influence the value of their portfolio. Finnish Dividend Hawk also doesn’t seem to be using a hedge. Dividend investors based in the US often don’t buy stocks on foreign exchanges, but make use of ADRs listed on the NYSE. These certificates are denominated in Dollars, but represent an underlying foreign security. When Dividend Mantra, for example, buys another batch of Unilever shares in New York (NYSE:UL), he’s also exposing himself to currency exchange risks because Unilever’s actual stock is listed in London in GBP and Amsterdam in Euros. To my knowledge he doesn’t hedge against this risk. Keith from DivHut, someone who I believe to be very conservative and careful in his investments, also doesn’t mention hedging his foreign positions. He too is exposed to the risk of exchange rate fluctuations through his positions in, again, Unilever and Diageo (NYSE:DEO). Both companies originate from the London Stock Exchange where they are denominated in British Pounds. The only blogger that I’ve found who discussed the effect of strengthening and weakening currencies is Stef from Grow Independent. Coincidentally, he did so only last week in one of his portfolio updates because he found that the strengthening Dollar and dropping British Pound had a significant effect on his stock purchasing power and dividend income. His conclusion was to not take currency volatility into consideration, but to focus on individual company quality instead. Yours truly also doesn’t try to offset the effects of currencies appreciating or depreciating over time. At the time of writing most of my Dollar denominated holdings are up, simply because of the Euro depreciating, for example. There are two main reasons for not hedging my portfolio. First, the total value of my portfolio doesn’t matter all too much as long as its dividend income remains stable. Second, as long as I’m not living off my passive investment income, a short-to-medium-term dip in dividends won’t derail my progress. As you can see, there’s no single argument in favour or against hedging your foreign positions or not. Rather, it’s a question of personal preference. I believe putting a hedge in place has its uses, but only for shorter periods of time or in times of exceptionally great currency volatility. However, because it’s not possible to assess currency movements in the long-run, I believe it foolish to expect improved returns from currency hedging if you’re investing for the long-haul. By introducing a hedge into your portfolio you are actually making a bet against a particular undesirable outcome in the future, which has the exact same merit as not hedging international stocks. 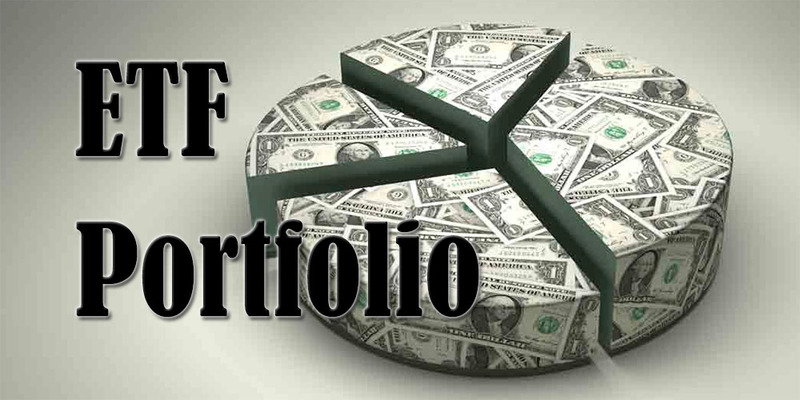 In my opinion, it’s far more important to build a stable and well-diversified portfolio. When the US Dollar depreciates, for example, a British investor owning a piece of a US company like Procter and Gamble (NYSE:PG) might worry about his return. However, if he had taken a closer look at his investment, he might have noticed that 61% of PG’s revenue comes from outside of North-America. As a result, the depressed Dollar would lead to a potentially higher operating profit for Procter and Gamble’s foreign operations, which in turn results in increased future dividend payouts. Futhermore, you can rest assured that all multinationals have a certain degree of currency hedging in place to protect their own assets and products abroad. Nothing is more worrisome to an internationally active corporation than declining profits because of external factors. To top things off, if the British investor also diversified his own portfolio by adding PG’s biggest UK-based competitor Unilever, he would probably sleep even better at night. When Procter and Gamble finds itself in a weakened position, it’s highly likely that Unilever will step in to pick up its slack. What do you think about currency hedging? Do you think it is necessary to protect the return of your foreign investments or not? Thank you for the mention of DivHut in your article. For my long term investment I focus on strong, surviving and growing businesses and do not concern myself with currency risk. Not that long ago the dollar was extremely weak. In other words, like stock prices, currencies are always in a state of flux and I’m more concern with the business I invest in rather than exchange rate fluctuations. Besides, DEO and UL I also am exposed to IR, ALLE (Ireland) and three Canadian banks, TD, BNS and RY. You’re welcome! Glad to spread the love. You have a healthy attitude towards your investments and currency risk. That’s why I decided to mention you in my post. In the long-run currency fluctuations tend to even out anyway, so it doesn’t matter too much. Glad to be a fellow shareholder of DEO and UL! This is a very timely post as I was thinking about changes in exchange rates and its effect on my portfolio this week. Since my home currency is pegged to the US dollar (not free floating), currency risk is limited to when I am looking to purchase securities not denominated in US dollars or local currency. I have not purchased any directly but I own US listed ADR’s for Royal Dutch Shell, BP and Unilever. Purchasing UL brought this to the forefront as dividends are declared in euros and then converted to dollars which is where the exchange rate risk would affect me in the short term. In the end, I concluded the risk was something I could handle and did not need to make any additional moves. Currency hedging would be important if I had a significant portfolio or did lots of business or investments in various countries and currencies like Pauline at Reach Financial Independence. But for my present life, it is not. Interesting that your home currency is pegged to the US Dollar, you don’t find that often anymore. What’s your currency? The companies you listed definitely expose you to currency risk, but the impact on your portfolio or dividend income is quite limited, especially in the short-term. Over longer periods of time I believe the fluctuations don’t matter too much anyway. Also, many international companies introduce a lot of hedges in their operations, so basically they’re doing all the work for you! My home currency is the Eastern Caribbean dollar (XCD). It has been pegged at USD1,00 = XCD2,70 since 1976. Firstly, for me, it’s not a hassle to get foreign currency. I can get it at any bank on my local high st, the post office, I can order it online, pick it up at the airport, or I can be 21st century and use a foreign-denominated card and then just take out cash or pay on the card in the foreign country. This is one of the reasons I dislike the €, because it’s not as exciting anymore to go abroad – most of the neighbouring countries are € now – boring! I do still do the ‘imaginary calculator in your head’ thing, although it is irrelevant that the forex rate might have changed, since you’ve already swapped your money into the foreign currency in question, so the rate is always going to be whatever you paid for it when you swapped your money. You are, of course, correct about this implication for purchasing shares. My American shares have gone up in value compared to my £, although not as much as they have against your €, but there is indeed, no way to predict what will happen with these forex changes. I agree with Stef from Grow Independent – I focus on quality and try not to worry too much about currency fluctuations. Haha, you are the first person to ever complain about the Euro’s one huge advantage for your average Joe! I absolutely love the Euro. It’s so easy to just go abroad and pay in your own currency. Also, going to a bank and asking for foreign notes is a hassle for me, even though it’s not that much work. You’re right that exchange rate changes after you’ve withdrawn the foreign cash don’t matter too much, unless you decide to convert back the money you didn’t spend. Again, it’s also a hassle. Focussing on quality over geography and currency is by far a better approach than focussing on foreign exchange rates all the time. I could have also mentioned PZ Cussons too! It’s on my watchlist at the moment, but I have to dig in their policies and financial some more to be absolutely certain. Also, when will you guys finally join the Euro area? 😉 I absolutely hate having to deal with Pounds while in the UK. nice collection of recent discussions combined with your personal point of view. There are a lot of interesting thoughts in there. As you know, I fully agree to focus on quality and diversification. Most effects are counterbalanced anyway. I would even argue that in the PG/UL scenario Mr. Market himself comes in to do that. With a strengthening dollar the PG shares become more expensive for non US investors which makes them relatively less attractive than UL for them. An increasing number of investors will sell PG or buy UL creating a new equilibrium. Just like you I also believe that we should be focussing on quality of individual companies rather than the possible effects of foreign exchange rates. The point you make about Mr. Market and the UL/PG example illustrate beautifully how fluctuating currencies don’t matter all that much anyway. Glad to include you because you raised some good points in your post. Very nice post, NMW. I just wrote an article last night on the same topic and am going to make it public soon after I review it. I dont really follow the Mustachian blog/forum. I should get on it…I have heard some good reviews about it. Its something that has crossed my mind over the last few weeks/months. Even though I havent made it public by expressly stating that it is a form of currency hedging, my investments have target companies that benefit from the strong US$. Even the latest purchase I made yesterday – Magna International – takes advantage of the fact that even though they are a Canadian company, bulk of their operations are in the US, where just a little bit over half of its revenue comes from. Well written post. I will be sure to share it with my readers via various social streams and my weekly links collection. Looking forward to your own post and point of view on the subject matter! Interesting that you target companies that benefit from a strong US Dollar. Being from North-America that actually makes sense, even though it doesn’t matter too much in the long-run. As a European the same strategy would not work because, even though the Euro is quite unified, a lot of businesses in Europe have operations in countries that still have their own national currency, like the UK and Sweden. Thank you for the kind words and for sharing! I find the whole forex/currency very confusing. It’s the same with options. I don’t think you need to do fancy technical things to do well overtime. Tweendy Brown published a research paper stating that currencies then to average themselves out over time. Foreign exchange rates and currency fluctuations are not my cup of tea either. I understand the effects they have on my portfolio, but the actual reasoning behind the movements is completely lost on me. I think this is again a case of pure randomness in the market. You’re right that currencies tend to average themselves out over time. That’s also what I’ve read on multiple occasions. From my relatively small own research I believe that to be true. Great article. Thanks for including me! However, I worry about this stuff about as much as I worry about a meteor hitting Earth. That is to say, not at all. Most companies I invest in (which is, I’m assuming, a similar situation to most dividend growth investors) are multinational companies, doing business in all corners of the globe. Though there’s some hedging there, currency fluctuations still have a major impact on their results from quarter to quarter and year to year. And that’s because there’s only a few dominant currencies that are used in business. If you look at Coca-Cola’s last quarterly statement, you’ll notice currency effects come up quite a bit. 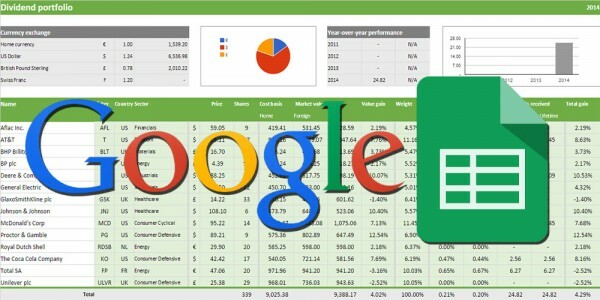 You now see companies report secondary “currency neutral” results to give a clearer representation of core operations. Your example of my buying of Unilever is a good example of being more directly and forcefully exposed to this stuff, but it works both ways. The stock goes one way, but the yield (and dividend) goes another. Always trade-offs. This stuff tends to even out over the long haul. To me, it’s just not really worth concerning oneself over. You may strike when your home currency is hot and get a good deal on a foreign stock, but as long as that currency remains strong your payout from the foreign company will be lower. I prefer to focus on companies themselves, not currency effects. Thank you! Glad to include you. Haha, great analogy! More people should have that attitude about foreign exchange rates. 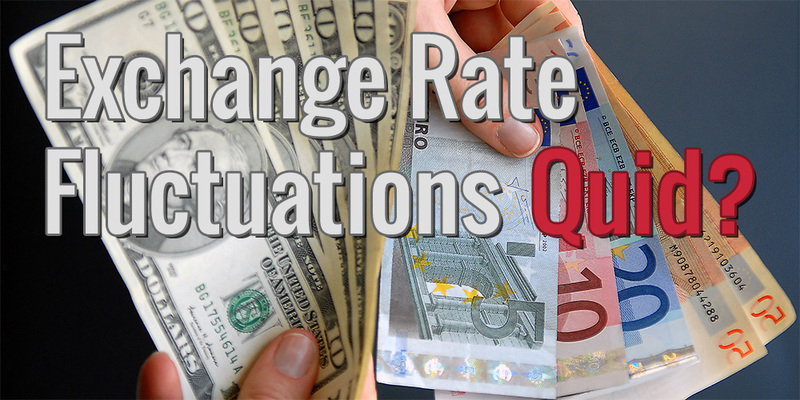 You’re right that currency fluctuations have a major impact on businesses. I believe a couple of years ago Sony was struggling with it’s PS3 against Microsoft’s Xbox 360 simply because of the Japanese Yen’s strong performance. Sony just wasn’t able to compete on price because they would be making too much of a loss in their home currency, whereas Microsoft was profiting from a relatively weak Dollar. I’ll definitely check out Coca Cola’s quarterly statement too. In August and September I purposefully bought a bit more US stocks, simply because I knew the Euro would decline against the Dollar. Of course, I didn’t know how much, but the European Central Bank’s talks about QE made it impossible for the Euro not to depreciate. However, that’s as far as I would go to take exchange fluctuations into account. All in all, I mostly focussed on the quality of the companies themselves. Great post on a very interesting topic. Like a lot of DGI out there I don’t bother with hedging. I believe with a well diversified portfolio my international exposure is covered. Over the long run things also tend to even out. You’re absolutely right that a well-diversified portfolio, both geographically and internationally, is much more important than hedging your foreign positions. I think the Unilever and PG example above illustrates this beautifully. In my opinion you are missing a few benefits that comes with currency headging. First you can use options to force yourself to exchange i.e. EUR for USD. In that case you have two outcomes – first nothing happens but you earn premium for writing a option, and second – you are forced to sell your EUR and buy USD but you are doing that with better price and you keep the option premium. So say – you want to buy USD for your EUR when EUR is worth at least 1.2$ – so you simply write an option, take your premium upfront and wait. If in settlement date EUR/USD is below 1.2 nothing happens, if it is higher you have to sell your euros and buy $$ – the price is 1.2 no matter of the market price. It gives you “extra” dividend becouse if you know how much dividend you can expect in a given month you can easly match the size of option to your expected cash flow. So if you have to exchange EUR you buy some dollar denominated stock if not just stay in eurozone. And second – if you are using a forex market you will probably use CFDs for hegde. So there is something calld swap – it is bassicaly the difference in intrest in two countries (in future contract swap is included in contract price). In my example – I am from Poland but I do invest mostly in USA (yes, the dividends 🙂 ). So I do recive USD from my companies but for living I have to spend PLN (polish new zloty). Since lately USD is quiete expensive compared to PLN I am quite happy about that. And I am willing to hedge agains weakening dollar to keep the purchasing power of my dollars compared to PLN. But becouse intrest rate in Poland is significantly higher than in USD and if you consider that short position in USDPLN is bassically a loan in USD and a deposit in PLN – I do have to pay very little intrest on my USD loan (low rates) and I do earn quite a bit on my PLN deposit (higher rates). In this way I do have my account credited 1.37 PLN per day per 0.1 lot in USDPLN just for having open a short position. And please note that it is kind of risk free becouse I do have no more that 50% of my stock portfolio hegded (safety reasons in case of a bear market). Ofcourse it is even more attractive if you find a broker that is willing to provide you with bonus funds for trading (like Iron FX does). Thank you for your kinds words and for taking the time to leave a (huge!) comment! I’m glad that hedging seems to work out OK for you. I must admit that I’m not well-versed on the subject of options, but I think what you’re saying is true. However, aren’t there any other costs associated with hedging this way? 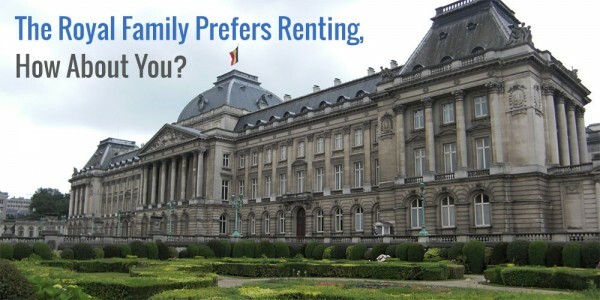 First, you have the cost of the option – they’re definitely not free in Belgium and subject to quite a lot of taxes. Second, there’s the opportunity cost of the money you had to put in the option rather than in other quality dividend stocks. Like I said above, I also believe that by hedging you’re making a short-to-medium-term bet in favour of an outcome that is desirable to you. Even if you now earn PLN by hedging against a weakening Dollar, what’s not to say this can change drastically pretty soon? How does that impact your portfolio and investments? Again, options and future contracts definitely aren’t my thing because I feel they are closer to speculating rather than investing. So correct me if I’m wrong! It’s very interesting to get your feedback analysis and the comments from other DGIs! The MP household case is very different to you guys at the moment, as we rely on our investment to buy our home in the next 2-3 years. Living in the CHF and Euro world made me take the decision to buy some safety. I however can’t wait to switch to long-term investing and completely switch our portfolio!!! Thanks, man! You really had me dig through a lot of literature so I could form an informed opinion. I’ve indeed confirmed your article in that a lot of studies point to zero effects of currency fluctuations in the long-run. Of course, it’s not always easy for investors to think long-term. If I were to buy a home in a couple of years’ time I definitely would be a bit more careful. Actually, I don’t think I’d invest the money for my new home in the stock market, but probably in a short-term high savings rate deposit of some sorts. Let’s see how the market reacts in the next months. I haven’t taken out any hedges to protect myself from this risk but currency rates are definitely something to take into account as it can have a large impact on the valuation of foreign stocks. Especially the USD is getting very unfavorable versus what we’ve seen for the past 12 years or so. At present the strong dollar is having a positive impact on my yield on cost and my portfolio’s value but I realize a weaking dollar can easily wipe out a few years of dividend growth. Like almost every other DGI out there, you’re also not hedging your positions. I believe that to be the right approach as I’ve explained in my post. However, that doesn’t mean you should pay attention to them when valuating foreign stocks. That’s why recently I’ve been focussing a bit more on European stocks rather than American ones like I was back in August and September. A weaking Dollar can definitely have an impact on your portfolio a couple years from now, but if that happens, it’s highly likely that your European holdings start performing better and better. In the end, everything averages out anyway. Thank you and you’re very much welcome! You’re definitely not the only one focussing on the companies rather than the underlying exchange rates. It seems the majority of dividend growth investors care more about the business they invest in than anything else. And that’s a good thing!